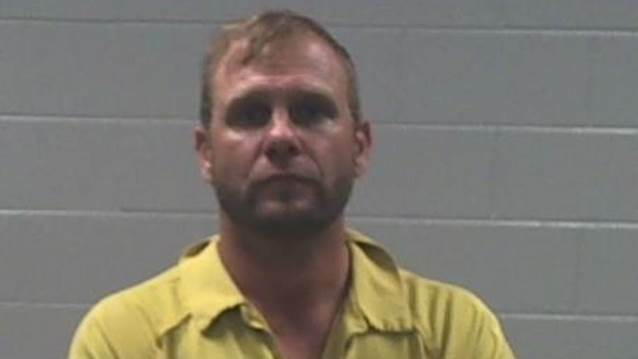 According to the Sun Herald, former 3 DOORS DOWN bassist Todd Harrell was arrested on Friday (August 3) on a charge of introduction of narcotics into a correctional facility. The drugs were found during screening of the incoming mail to the Jackson County Jail in Mississippi, where Harrell has been since June after he was arrested on a charge of possession of a firearm by a convicted felon. Harrell was arrested two months ago when authorities responded to his home after an alarm went off. Harrell's wife told deputies they had gotten into a fight. While deputies were talking to the couple, they noticed guns and drugs in the home. They called the narcotics unit, which got a search warrant, and Harrell was taken into custody. If convicted of the new charge, he could face up to seven years behind bars. Back in 2013, Harell was charged with vehicular homicide in Nashville for driving drunk and killing 47-year-old Paul Shoulders. While awaiting trial on that charge, Harrell was arrested again on a DUI charge for driving under the influence of drugs — a charge which led to his firing from 3 DOORS DOWN. Harrell pleaded guilty in 2015 and was sentenced to two years in prison. With credit for good behavior, he served roughly a year, according to media reports. Harrell was an original member of 3 DOORS DOWN, which formed in 1996. Another original 3 DOORS DOWN member, guitarist Matt Roberts, died of an overdose in 2016 after retiring from the group in 2012.